Barry and Sara – For the fainthearted . . .
Perhaps Barry has bought this month’s edition of Mojo magazine. 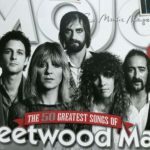 Fleetwood Mac are featured. Barry liked Fleetwood Mac as much as he disliked my taste in clothes and music. “And where did you get that jacket? Rob, come and look at this jacket! The collar is so wide it could fly”. There was general laughter. The flares were quietly phased out; the tartan patterned bomber jacket was replaced with a black leather one. Barry came from Camberley in Surrey and regarded himself as arbiter of all fashion matters. Not only was he an authority on how to dress, but on most other matters as well. There was the day he came in when BBC Radio 1 was playing. “Um, well, in Somerset, you see, there is no alternative. There’s not any stations except the BBC”. “But you’re not in Somerset now, you’re in London. Let’s put Capital on and have some proper music”. It was his radio, so he could choose to play whatever he liked. He would reel off the names of bands and from where they had come in the capital and the suburbs. There was nothing worthwhile from outside of London; only the Americans could compete. Mention of Ritchie Blackmore, a Somerset man, who had played with Deep Purple and by then was with Rainbow caused him great hilarity. Throwing himself back on his bed with his feet in the air, he exclaimed, “Rainbow? Rainbow! You’re a dinosaur if you listen to stuff like that”. Barry liked Fleetwood Mac. On the day of its 1979 release, Barry bought their album Tusk, and played it again and again. It was odd: he was indifferent to Tusk, the cutting- edge piece, but, every time it was played, he was captivated by the gentler tones of Sara. Beneath the brash exterior there was another person inside. Of course, when you are nineteen years old, you don’t ask, “What’s the deal with this track? What’s going on when you stop to listen every time it’s played?” Forty years later, it would probably be even harder to ask somebody such a question. The reasons for playing stuff multiply greatly over the years. If Barry has bought this month’s Mojo, what might he remember of the gentle ballad among the rock tunes?